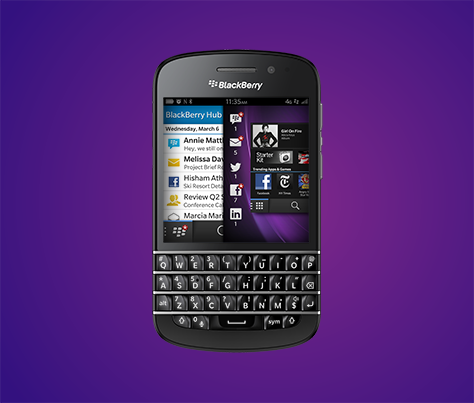 Blackberry's Q10 sells out in two hours at UK store! But this is a little bit misleading! Blackberry's new BB10 operating system has only graced one phone so far and that was the all touch Z10, which was received well for the most part. The thing is Blackberry are the keyboard maestros so it's high time that consumers had their chance to get hold of a device with one of those iconic physical keyboards. "BlackBerry Q10 has been, without a doubt, the most highly anticipated smartphone we have ever sold and is already our most successful. Our partnership [with BlackBerry] has proven to be a powerful combination of great technology and commercial success." But, and it's a big but, people who were present at the launch were reporting that people went with the intention to bulk buy phones for export and some corporate customers went in purely to get their latest keyboard device which they swore by. One person who was present was Oli Farago, one of the technology partners at M7 Real Estate LLP, who offered his take on the proceedings and he explained how this wasn't really the big story which the headlines are commanding. With people being able to buy as many phones as they wanted for resale, with a lack of Blackberry employees offering demos and with a lack of press and genuine customers in attendance this wasn't really the success which it appears to have been because very few people actually knew about the launch in the first place. The good news for Blackberry is that they got the headlines they wanted and in some cases people won't bother to read any further, but at this point we don't really know how much demand their is for the Q10 or whether Blackberry had that many phones for sale in the stores in the first place, we do know that Selfridge's have said extra stock will be arriving to help meet demand over the coming days. What do you think? Is this Blackberry aiming for headlines or is there genuine excitement in some sectors for this new smartphone? Let us know your thoughts in the comments below!